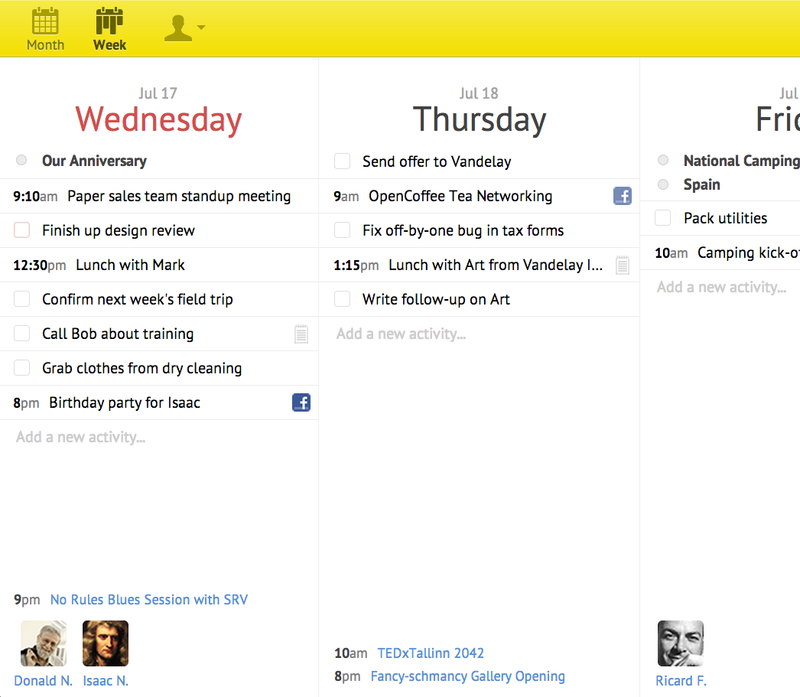 New improved and simpler look for the month and week view that brings out your activities much better. Less borders, boxes and other unnecessary visual elements to distract. Check it out.